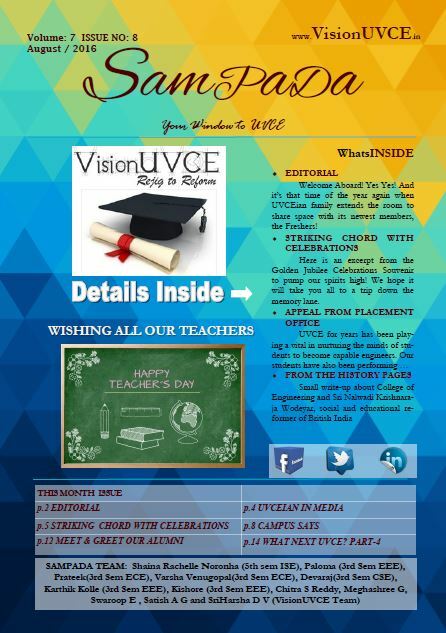 And here’s your copy of the August edition of Sampada, your window to UVCE! This edition of Sampada has got great stories to cover. 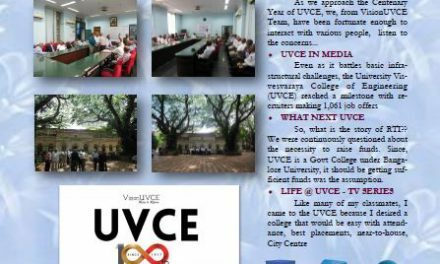 With a new batch of students taking their step into UVCE, we have their honest views on their journey so far! 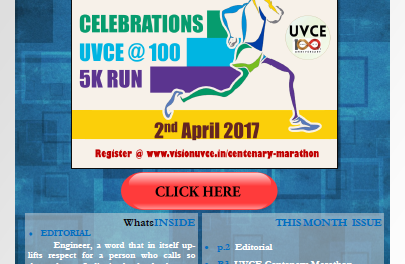 Centenary celebrations fever is everywhere an as we promised we have got interesting reads about inside the edition. What next UVCE is here with its episode 4 drawing your attention to some serious issues with respect to college that need to be addressed. 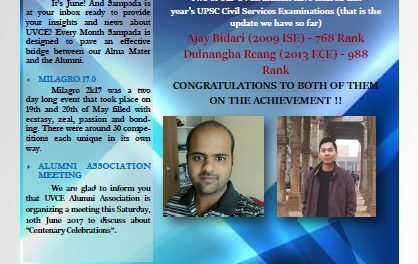 UVCEians have reached staggering heights and their stories are equally inspiring, and with our meet n greet Alumni column we have for you, excerpts from our interview with Abhaya Kumar Sir (1954 EEE). As we always say, any articles that you wish to write for Sampada or you would like to see us write or any reviews, let us know. We’ll be waiting and happy to hear! Without further ado, enjoy your edition of SAMPADA!